Four times as many people have expressed their willingness to taste wine but haven't done so for lack of necessary casual fine-dining experience, opportunity and deficit in availability except in government liquor shops. While the total penetration of alcoholic beverages in the country is close to 50%, with whisky at 23% and beer at 26%, wine penetration in India is still under 1%. Fortunately Indian consumers are today not restricted to boundaries anymore. They are travelling, are exposed to alternate cultures, food habits and also very aware, courtesy-the media. Wine is a very popular drink worldwide especially in Europe and US and looking at the growing consumption trend in India its demand is showing an impressive growth. Moreover, since, there is only 10 per cent alcohol in it, it is a light drink and it is a safe option vis-a-vis staunch alcohol when driving. The foray of both national and international brands in this category shows the soaring demand of this category in the near future. Under 30 age professionals are witnessing an attitudinal shift in alcohol consumption and developing a penchant for wine. Experimentation is rampant with youth. Growing influence of western lifestyle. Liberalised policies adopted by state and central government to encourage the sale of wines and weaning off the other alcoholic drinks like Maharashtra, Karnataka etc. Popular among women as a light drink. There is immense demand surging in the metro cities like New Delhi, Mumbai, Chennai, Kolkata, Pune and Bangalore. People in India are still inclined to liquor category and wine is steadily gaining its importance due to the foreign crowd in the metros. And this is going to be more frequent in the near future. Further, people have started experimenting and changing their menus or improving their portfolio. After the Karnataka government started granting licenses to restaurants for serving Indian wine and beer for Rs.5000, many players like Pizza Hut started serving wine in Bangalore with an exclusive tie-up with Four Seasons Wines Ltd and plans with pan-India roll out within one year. The suitable location for a wine shop is where you find its customers –high streets, fine dining restaurants, discos other authorized stores. “There is an imperative need of lucrative government policies to bring this product aggressively in the market. Noting down its medical benefits, this product can be a substitute to many synthetic drinks,” says Mr JP Gupta, Nirvana Biosys. But Indian society still takes this product as alcoholic drink which is big misconception. How can we add impetus to the supply curve? Need to dilute the excise duties, import duties. The government should separate wine from the category of alcoholic drinks. There has been a trade-friendly atmosphere developing. For example, the Delhi government has liberalised licensing laws to allow private stores selling fruit, vegetables and groceries to retail wine. 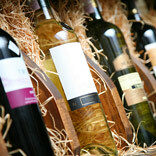 The decision is expected to significantly boost sales and increase the visibility of wine. On the same lines, Karnataka took a significant step by issuing the country’s first ever ‘wine policy’ allowing the sale of liquor products in marts and malls. They are also encouraging the manufacturers to set up the plant by offering 50% subsidy and that is the reason the state is expecting lots of FDIs . Consumer in India is maturing with regard to the taste and the type of food and drinks they are consuming. As the market matures and government liberalizes its policies, retailers can prepare themselves by storing them systematically. Region-wise: Nagpur, Pune, Himachal etc in their stores. Since wines are categorized under alcohol, it is not easy to start a retail business in this category. There is a tedious legal process which a retailer has to go through to sell it in the stores. The approximate figure can go up to Rs 1 crore just to get the licences alone. Secondly, major part of the distribution network is controlled by the government agencies, so the full fledged control for supply remains in their hands. Such a hindrance is not seen in other business like apparels, food restaurants, or any other simple retail business. Need to be aware of the regional nature of wine consumption in India. Upcoming tier II and tier III cities should also be the primary targets for the wine manufacturers, as these cities will increase the country's total wine consumption. Need to educate the Indian customer and the hospitality staff. Huge numbers of tasting, sampling events should be held. The mobility of the consumer due to increasing tours, sophisticated professional profile and more international brands being consumed by the domestic market, wine market is sure to make its way but it would be steady and impactful penetration.